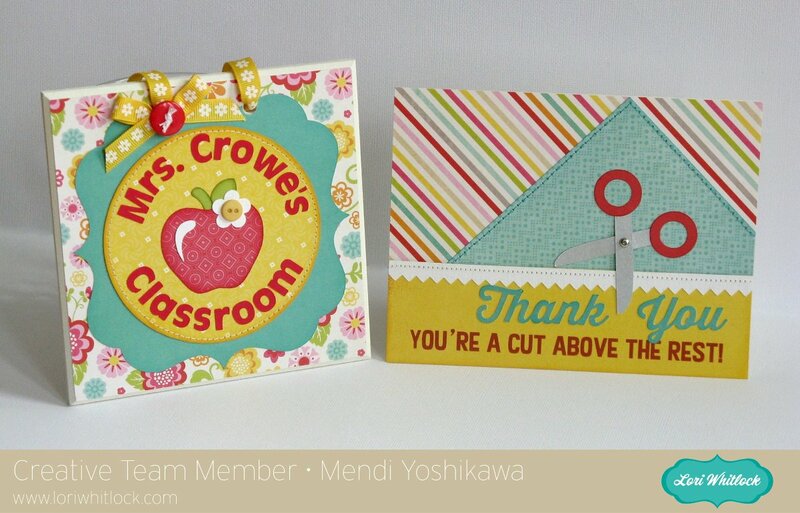 I have some projects up on Lori Whitlock's blog today. With another school year coming to a close for many of us, I thought I would share with you some gift and card ideas for teachers! 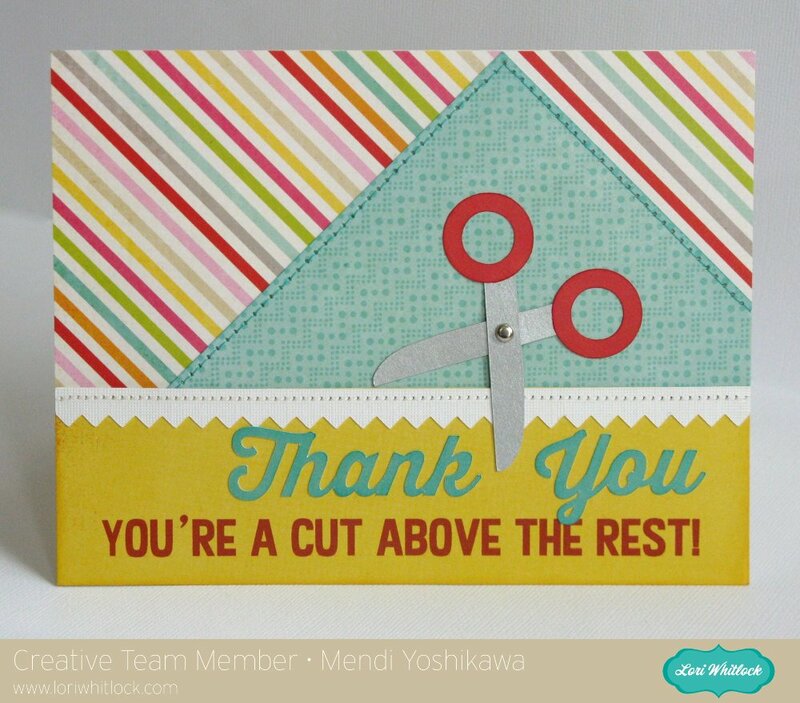 Next up is a thank you card using another one of Lori's fonts which I used to print my custom sentiment. I love that when you purchase one of Lori's fonts you can use it for both your computer journaling and then again to die cut your titles! 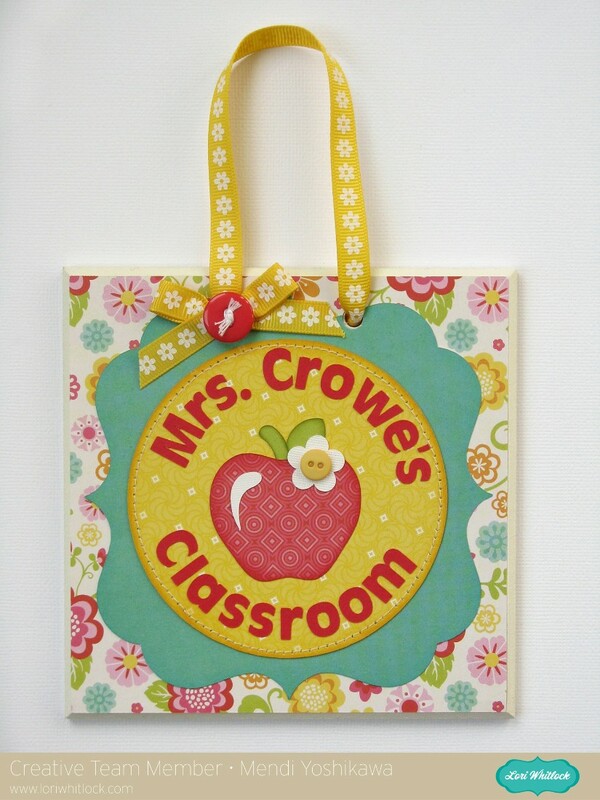 Gorgeous gifts for the teachers! Teachers have a HUGE role in our children's lives and they spend equal time if not more time with our children then we do.. they definitely deserve to be thanked and appreciated for all they do! Love these gifts my friend!